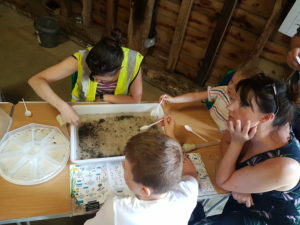 On the 22nd July 2018, we were joined by families and experts to count wildlife at Broadfields, Thames Chase. 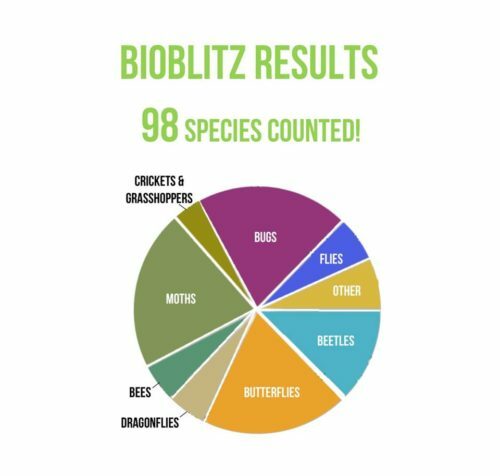 The day was a great success where we found and identified nearly 100 species of butterflies, bees, beetles, bugs, moths, crickets, flies, dragonflies, spiders and river critters! 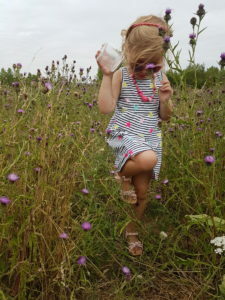 The BioBlitz was a partnership event between the Land of the Fanns Landscape Partnership Scheme, Thames Chase Trust and the Forestry Commission, with experts joining us from Buglife and the Butterfly Conservation Trust. The first activity of the day was to check the moth trap that was left out overnight. Quite a few moths managed to escape while opening up the trap, however there were still many interesting species of moths to identify. Families were fascinated to see up close the variety and colours of what at first might be considered a dull brown coloured creature. 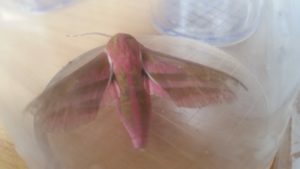 With exotic names to match from the Ruby Tiger to the Lunar-spotted Pinion it was the vivid pink of the Elephant Hawk Moth that received all the attention. On the edge of the Broadfields site is a small river, a tributary to the Mardyke, where we ventured out to do a Riverfly survey. We did this by doing kick sampling and transferring our findings into a bucket to be carried to the barn. Here families had the chance to see the creatures that live in the river. We were inundated with lots of lively freshwater shrimp. 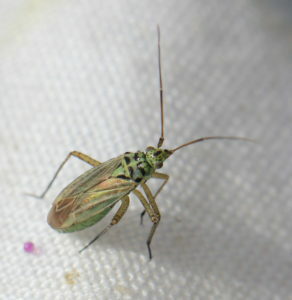 Other species also appeared such as the olive badatae, leech, freshwater hoglouse and a large cased caddis fly. 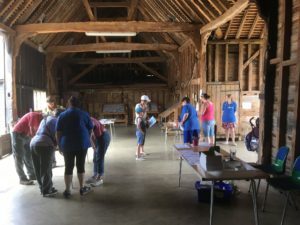 Throughout the day, in the 17th Century Barn, were the Thames Chase Education Volunteers who had lots of wonderful activities for children such as badge making, painting and crafts, whilst outside lots of children enjoyed getting their faces painted with minibeast inspired designs! One group was lead into the wilderness on the lookout for reptiles, although no grass snak es or common lizards were to be seen because of the hot weather – a wasp spider was found! Thanks for all the great compliments in our feedback, the Land of the Fanns Bioblitz will definitely be back at a location near you in 2019! Thanks to everyone who came along, your sightings are now part of a national biodiversity database. 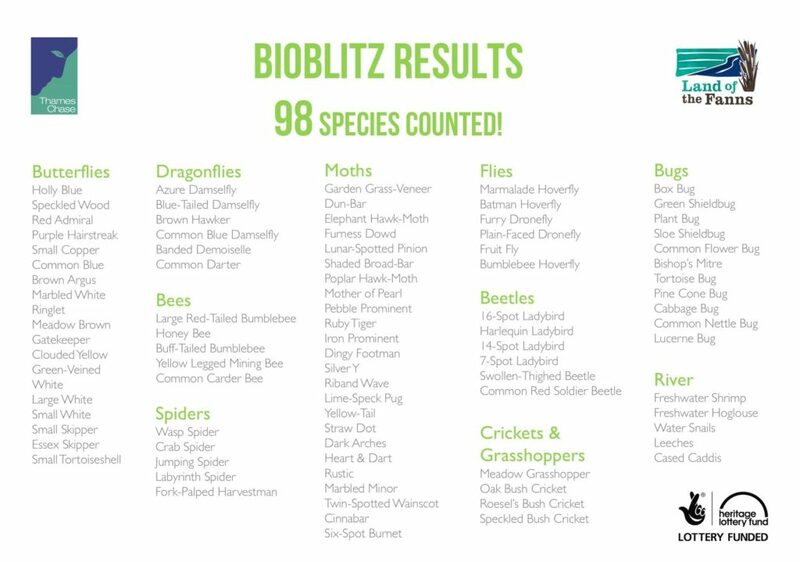 Overall the event was a huge success with 98 species (possibly more) being counted! 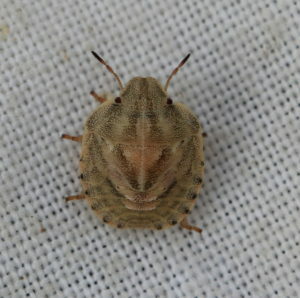 Look out for future events such as more BioBlitz’s, guided walks, identification sessions and training courses!